Thank you!!! Those are words that we use often, especially as ultra polite Canadians. We probably use this phrase a couple times a day and probably hundreds of times in the week. Being polite and saying thank you is the Canadian way. Its as Canadian as Tim Hortons coffee, hockey, and the beaver. But that all being said I feel that in my own life the weight or power behind my thanks is sometimes lost. This past Monday night was our annual YFC Saskatoon fundraiser banquet. I had the privilege to MC the evening. 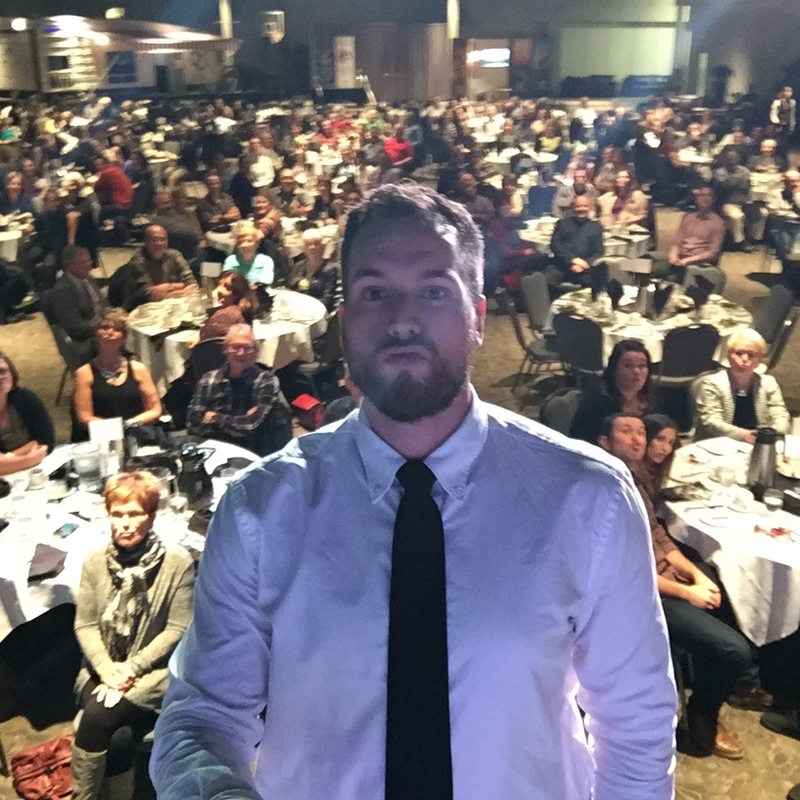 One of the things I did while on stage was take a selfie with everyone in attendance. And as I look back at this picture I can't help but be extremely thankful for the people that are in the picture behind me. Some of these people I know and some of them I don't but they are the people that support our ministry here in Saskatoon. I am so thankful for the people that are partners in my ministry with me. I don't feel that the words really show the true emotion and utter gratitude but all I know how to say is THANKS!!!! As William Carey once said "I Will Descend into the pit if you will hold tightly to the ropes." Thanks you so Much for holding tightly to the ropes for us.